ABOUT US - Shandong Wan Steel Import and Export Co., Ltd.
SHANDONG WAN STEEL Import and Export Co., Ltd., is the primary exporting company of WAN STEEL Group . Wan Steel Group is a diversified large enterprise group, mainly engaged in steel and also covers real estate, chemical industry, machinery, international investment and trade ,service ,etc. At present,Our main steel products are steel pipe , steel strip , steel wire cable ,structure steel and steel products processing. Products get the French BV, SGS ,China CCS. API; Britain CE certificate. We cooperate closely with many large companies at home and abroad, and have set production base in Shandong , Jiangsu,Tianjin , Foshan ect, respectively built a seamless pipe production line of annual output 5 million tons , steel strip production line of annual output 2.5 million , steel wire production line of annual output 1million , and stainless steel pipe production line of annual output 300 thousand tons . Now we have finished the raw materials procurement, product manufacturing, quality control, packaging technology integration strategy scale, laid a good foundation for the product stable quality and enterprises development . WAN STEEL customers spread all over the world. We always dhering to the "soul creat brand" as the belief, providing customers with the best quality products and the most perfect technical support and services. 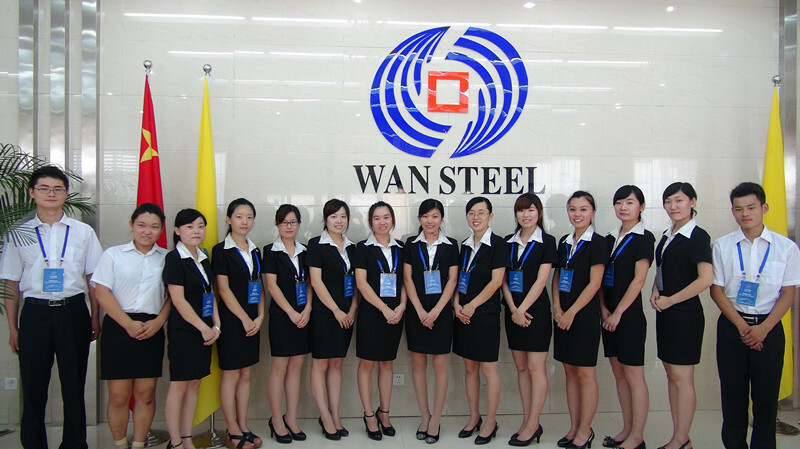 Warmly welcome to WAN STEEL Group for business negotiation. Let’s hand in hand, create brilliant together .